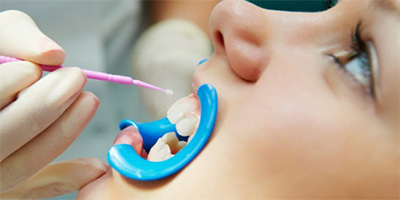 Comprehensive Exams and Cleanings for Better Oral Health! Many people don’t realize that dental checkups and cleanings are about more than just getting tartar removed and X-rays performed. While these are key tenets of our routine appointments, they’re also meant to help you stay protected against underlying disease you may not have otherwise been aware of. This is the case even if the condition isn’t directly related to your oral health! Furthermore, you should always feel comfortable asking your dentist questions whenever you’re unsure of something. Contact us today to schedule your first visit at Anderson Dental! In order to have a better understanding of what’s happening underneath gum and bone tissue, your children’s dentist in Anthem utilizes digital X-rays, the latest in X-ray technology. With it, she can catch problems that are often invisible to the naked eye. 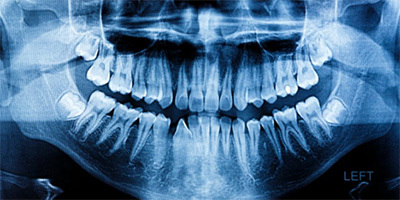 For example, X-rays help her examine the path of erupting permanent and wisdom teeth, which is especially important for younger patients. In the event that you need a better explanation of your current oral health status, intraoral cameras keep patients fully informed during diagnostic procedures. These handheld cameras project live video of all the corners of the mouth onto a nearby screen, making it easier for dentists to express their determinations during exams. 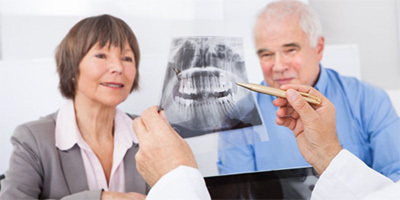 Dental exams involve closely examining the teeth, gums and oral structures in order to catch early signs of dental disease, mainly tooth decay and gum disease. However, your dental team is also on the watch for debilitating diseases that would likely cause potential problems later, including oral cancer, temporomandibular joint disorder (TMD), and bruxism, also known as chronic teeth grinding. In many cases, these conditions can have a lasting effect on your overall health, not just your oral health. Those with TMD are more likely to have issues sleeping or starting the day due to jaw pain, while those with bruxism are likely to experience enamel erosion, sensitivity and eventually tooth loss. Oral cancer claims the lives of approximately 10,000 people annually, but is largely preventable with routine dental visits. 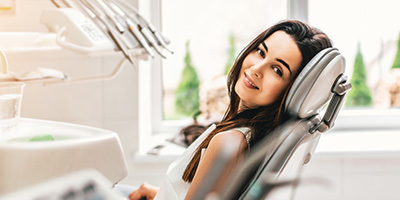 Finally, our skilled hygienists don’t just remove plaque and tartar from your teeth, but offer advice on the best way to protect your mouth in between your routine visits. They’ll recommend products they believe to be the most effective at protecting your oral structures. Whether you’re an adult or child, you may also want to consider treatments that offer professional protection as well, including fluoride varnishes and dental sealants. These are ideal if we determine that you’re more susceptible to dental disease than other patients. After disclosing our findings and completing your cleaning, Dr. Lori Anderson and her team always leaves time to answer questions you have and build a treatment plan that works best for you. After all, treating the source of your dental issue and preventing future issues is the most important step you can take in keeping your smile for life! Contact us today to schedule your routine dental checkup in Anthem with Anderson Dental!